Be certain to check out the handmade giveaway listed at the end of this post! Coming up with gift ideas for adults can often be difficult, but our readers have come up with some great things. Whether you are looking to make some spa products, items to wear, or items for someone’s home, the tutorials in this post will make gift giving easy. Paige at Baby Dust Diaries shares an easy way to avoid chemicals and have luxurious and healthy hair. 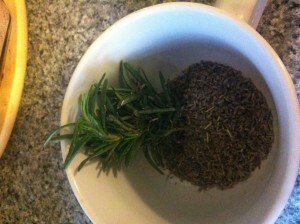 Her Lavender Rosemary Shampoo Recipe makes a fantastic gift. free of harsh chemicals, this shampoo and body wash makes an excellent all natural alternative for any age. 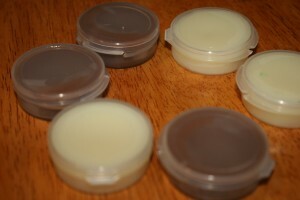 Learn how to Make Your Own Lip Balm with this easy recipe from Mandy at Living Peacefully with Children. All natural ingredients result in a moisturizing formula that makes a great gift for people of all ages. 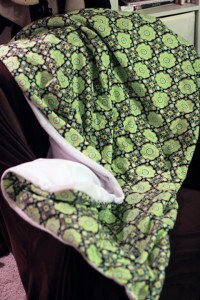 Sew a Simple Throw Blanket! Lauren at Hobo Mama shares tutorial on how to make a warm minky-and-flannel blanket perfect for cozy winter nights. Whether used for laying over children in carseats or for snuggling on the sofa, this blanket is certain to keep its recipient toasty during the holiday season and beyond. Have a naturally minded friend or family member considering switching to family cloth? 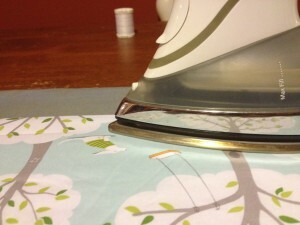 Jorje of Momma Jorje shows you how to make your own Family Cloth for gifts in her not-so-Wordless Wednesday: Family Cloth Tutorial. 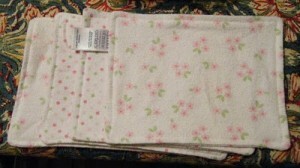 Whip up some of the soft wipes and give someone a family cloth starter pack. 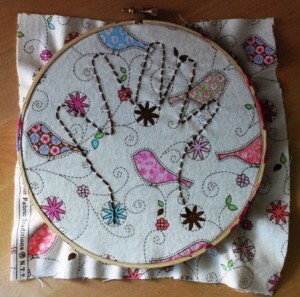 Forever capture the memory of your child being so small with this Easy Embroidered Hand; Dionna at Code Name: Mama shares step by step instructions. These make great gifts for grandparents or for yourself. With winter comes dry skin. 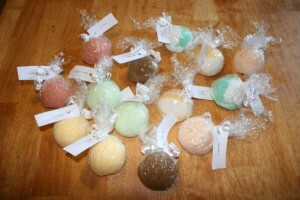 Give the gift that keeps on moisturizing with these fantastic Bath Bombs from Mandy at Living Peacefully with Children. They’ll turn bath time into a day at the spa! Bring some light to these dark and dreary days with this tutorial from Emily at Embrita Blogging. 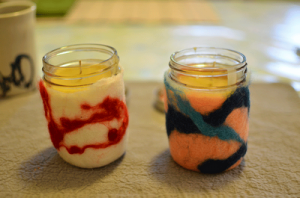 She shares how to make Felted Beeswax Candles. An easy and fun to make project, these make great gifts for children to make. Do you or someone you know have a new home? Consider making these classy Black Out Curtains from Amy W. at Me, Mothering, and Making It All Work. Beautiful and professional looking, Amy’s step by step instructions will have you making these in no time. Perfect for a bedroom or any other room in a house where privacy or darkness are needed, these curtains would be a lovely gift. 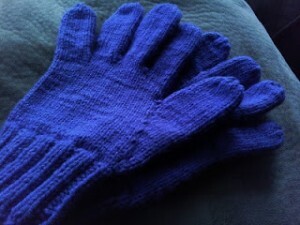 It’s cold outside, and Destany at They Are All of Me shares her Easily Adjustable Knitted Glove Pattern. Warm up the hands of those who warm your heart! 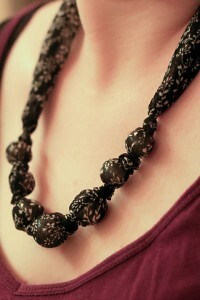 Lauren at Hobo Mama shows how to Make an Easy Knotted Fabric Necklace that works as a nursing necklace or on its own. Wear it to a holiday gathering or make some as gifts, this elegant necklace is certain to get rave reviews. Consider Making Glasses from Children’s Art. 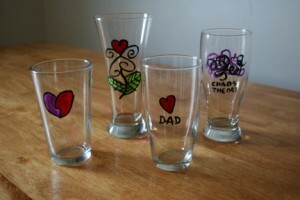 Mandy at Living peacefully with Children shares how she used some of her children’s artwork to make these inexpensive glasses for her husband. These make great gifts for grandparents or anyone who likes unique drinking glasses. Or try making some fingerless mittens with this Easy Ribbed Wrist Warmers pattern from Mandy at Living Peacefully with Children. It knits up quickly and will keep busy hands warm while working on various projects. Looking for ways to decorate your home this holiday season? Check out these simple ways to celebrate without breaking the bank! 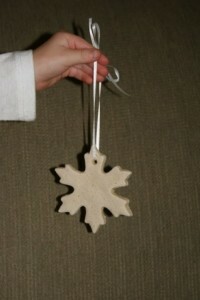 Salt Dough Ornaments are easy to make and make great gift toppers. Try this easy recipe from Mandy at Living Peacefully with Children for a kid friendly project that can be customized to any occasion. 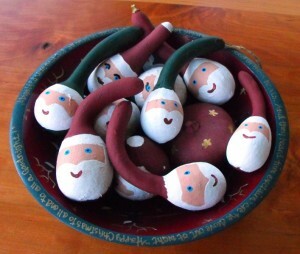 Abbie at Farmer’s Daughter shares how to make your very own Santa Gourds. These cute little characters are great for decorations or ornaments and make nice small gifts. 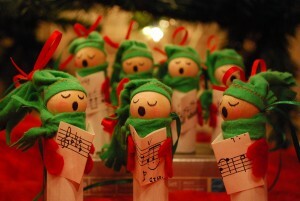 Handmade ornaments are a tradition at Code Name: Mama, and these sweet Holiday Carolers will make anyone’s heart sing. Dionna shares instructions for how to make these unique ornaments. Handmade ornaments can make great small gifts or decorations for the top of a larger gift. Orange Pomanders are a timeless tradition. 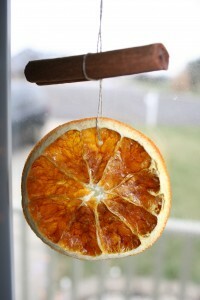 Originally started as air fresheners at a time of year when bathing was at a minimum, the color and shape of the orange represents the return of the Sun. Mandy at Living Peacefully with Children shares how to make these simple decorations. 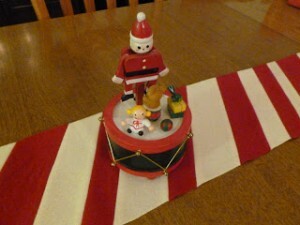 Jenny at Babyfingers shows How to Sew a Candy Cane Table Runner out of upcycled wool. This cute project will bring color to your holiday table. 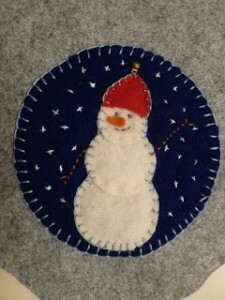 Learn how to make a Penny Rug Inspired Snowman. Using upcycled wool, Jenny at Babyfingers shows how this inexpensive project results in a unique gift for friends and family. 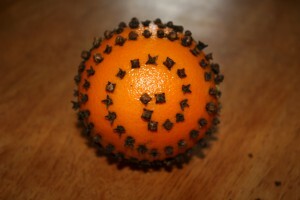 Oranges receive a lot of attention at Living Peacefully with Children during the winter months. These easy to make Sun Catchers from Dried Orange Slices are easy for children to make and bring cheer to an overcast window. In celebration of her first pattern on Ravelry, Mandy at Living Peacefully with Children is offering one lucky reader a wonderfully warm pair of Easy Ribbed Wrist Warmers (pattern listed above). The giveaway is open to US and Canadian residents. 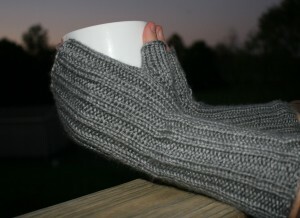 Hurry and enter to win this pair of wrist warmers. Entries are accepted through November 25! Link up your own tutorials, patterns, and recipes for homemade holiday gifts for grown-ups! These are all such wonderful ideas! Pinned! These are fantastic ideas. We are trying to go all handmade or made local for the holidays this year, and this list will go a long ways in helping us reach that goal.